Safe working temperature is up to 650C. No primer required. Touch dry in 15-30 minutes. Ideal for use on the surfaces of machines, vehicles etc. Hazard safety codes: R10, R11, R12, R20, R21, R36, R38, R66, R67. 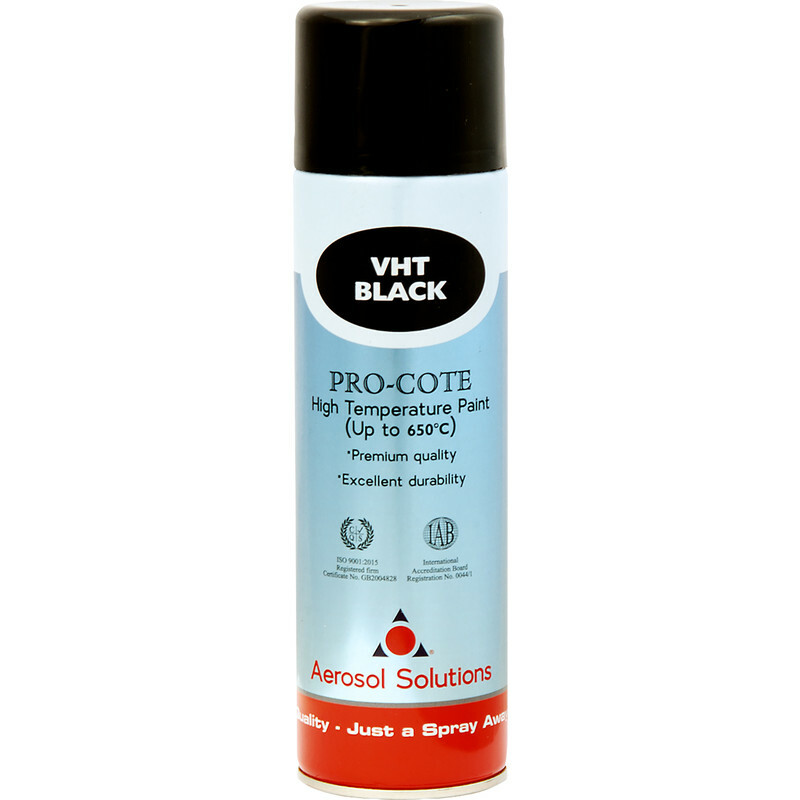 High Temperature Spray Paint 500ml Matt Black is rated 4.1 out of 5 by 27. Rated 5 out of 5 by GDCE from Exceptional Tried this after being disappointed by another option for a big DIY store. It was geat - good coverage - easy to use - no trouble with excess causing runs. It was a great result for a good price. Rated 4 out of 5 by Cautious yorkshireman from Heat resistant paint Goes on ok but is needs allot of coats as its very thin-More matt grey than black but it looks ok . I have used it on a tractor radiator and its more to keep corrosion at bay than to look nice. Its only been on a few days so I cannot comment on its durability. Rated 3 out of 5 by Doubtful from Unsure and confused...... I ordered the product after reading the "heat resistant" and "matt" descriptions on the label, online and on pack. when I went to collect the tin, the pack handed to me was differently labelled, so I do do not know if it is heatproof or matt. I asked them to double check as the barcode matched, and they suggested the product has been "repackaged", but is in fact the same! My "average" ratings in this review are because I don't know! Rated 5 out of 5 by Anonymous from Good paint Bought for a garden stove/fire pit, coverage was fine, longevity will ne tested with time.